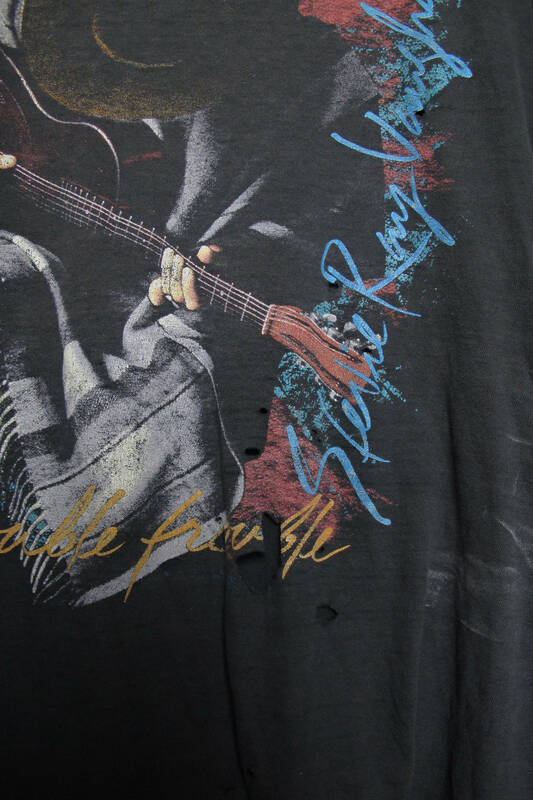 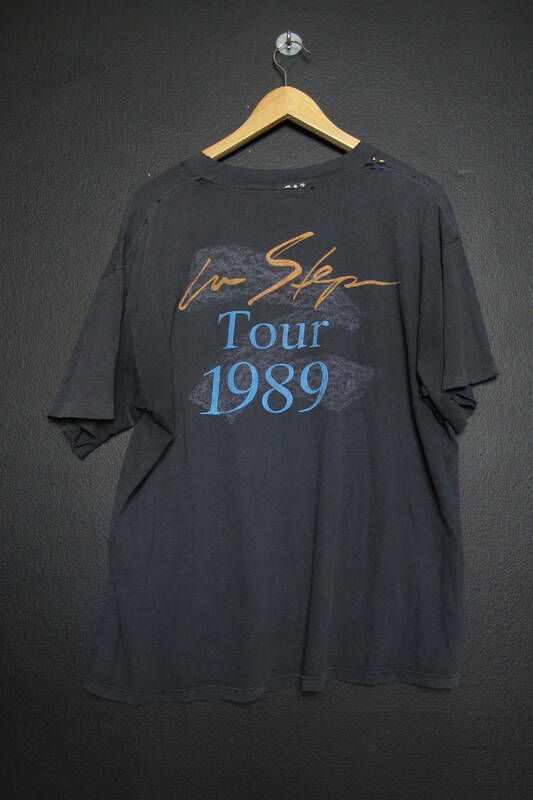 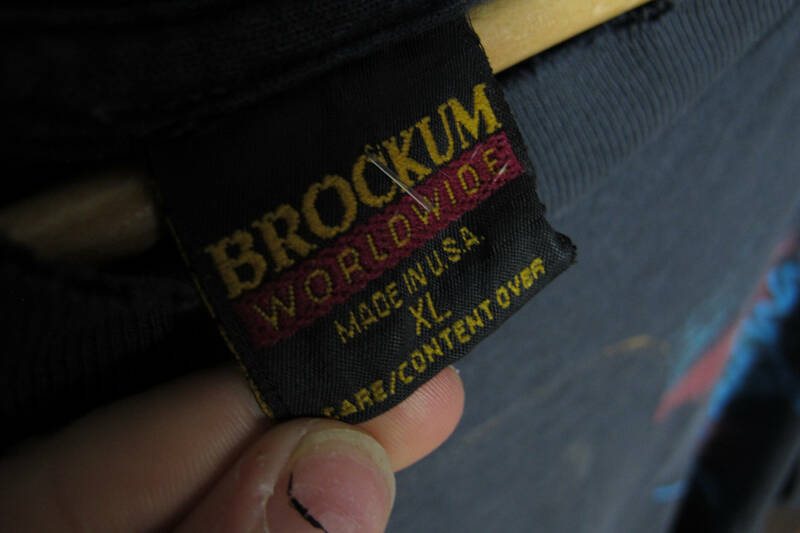 Steve Ray Vaughn In Step Tour 1989 Vintage Tshirt, size XL, made in USA by Brockum. 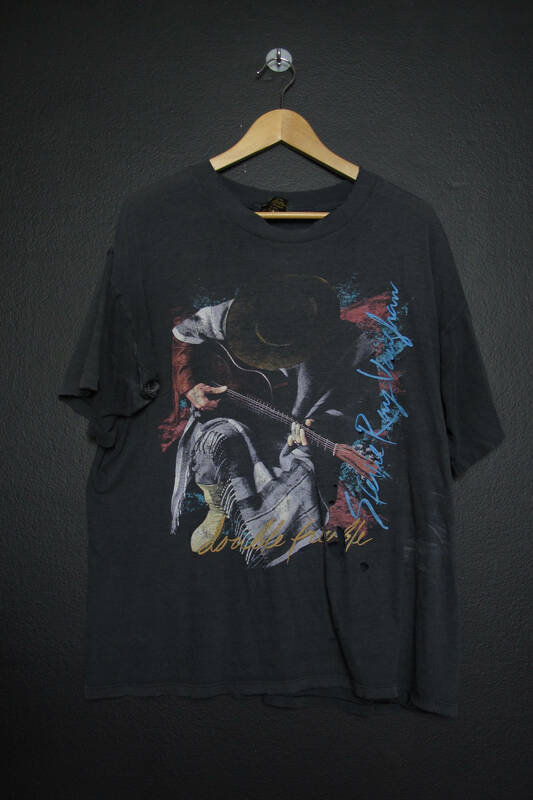 This shirt is in good vintage condition with some fading throughout and is perfectly worn in. 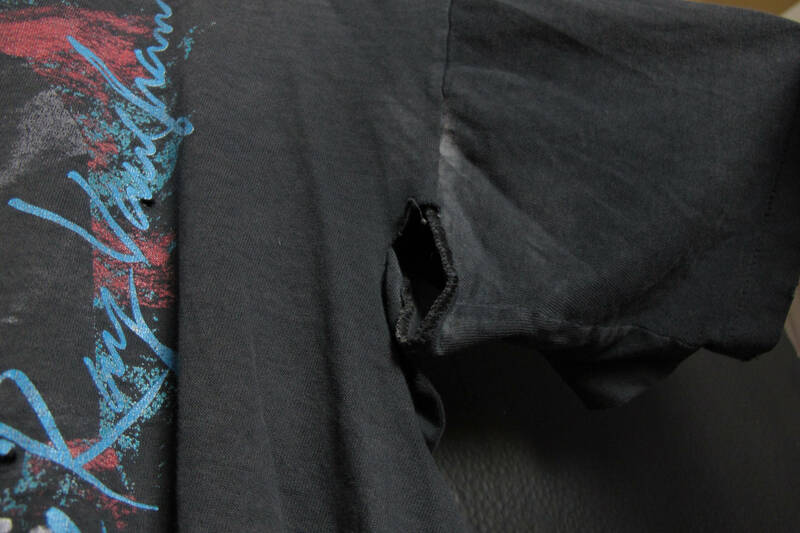 Holes and stains as pictured.